What happens when a US design company with an eye for the unusual turns its hand to toys? Nickster happens. Take a look at the latest playthings from the Nickster toy box. Bright, fun and eye-catching in a way that hints at their design cred, these vehicles have another secret agenda. They are also puzzles in disguise. 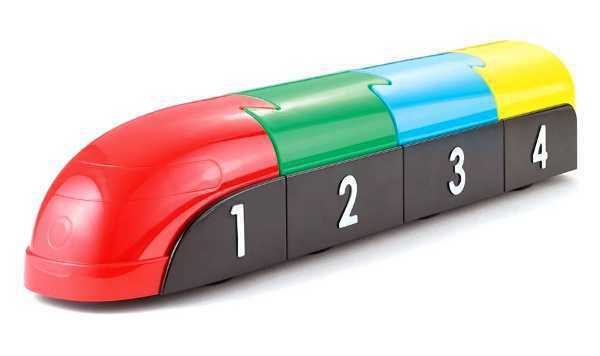 The Train has four glossy numbered train cars which slide together with puzzle-like connections. 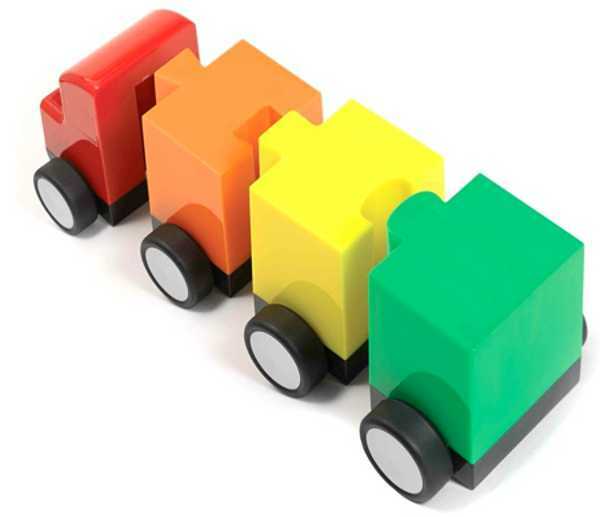 Kids can learn about counting and hone their fine motor skills while learning about colours. The train can also get high-tech with a free iPhone app which features games like shape matching and counting. The Truck is just as impressive. 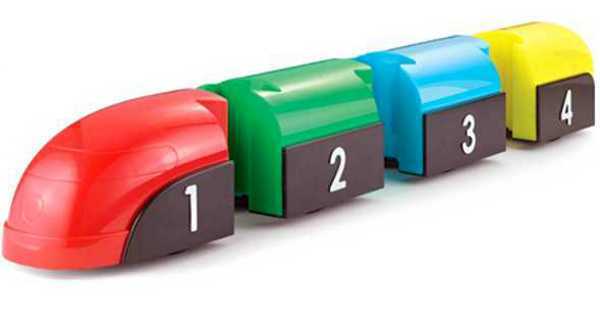 With its four brightly coloured blocks, budding truckies can make their rigs as big or small as they please! I also love the Wagon with animals. 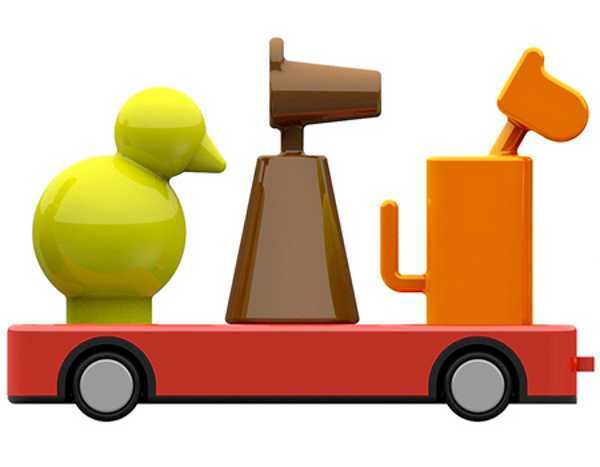 Each animal has a different shape underneath it which fits into the corresponding shape on the wagon bed. 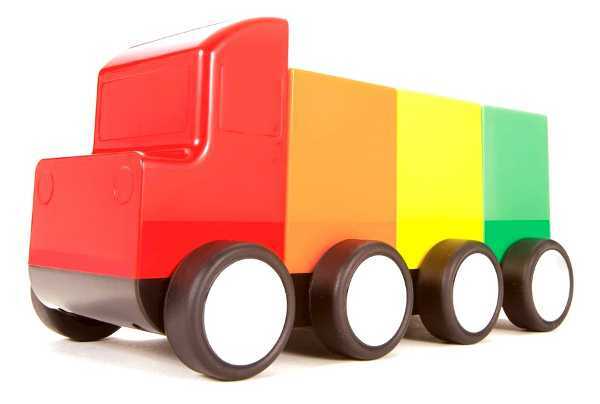 There are three wagon bed colours, each with different animals. 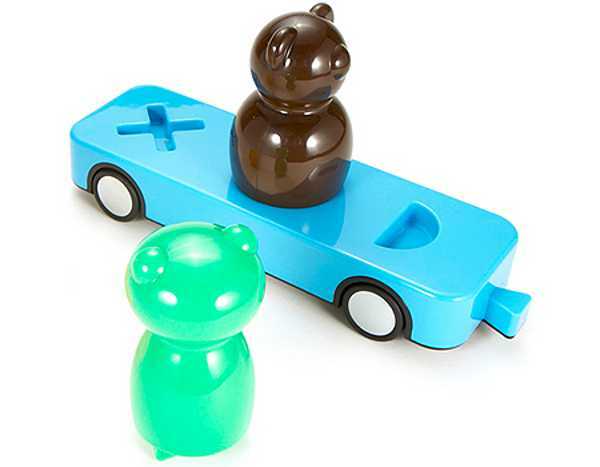 All of these new toys are made from non-toxic plastic and available through Fat Brain Toys – the Train is US$25, the Truck is US$25 and the Wagon is US$23. Fat Brain Toys ships to Australia.